Kink and fetish, Glamour and passion, what more could possibly be left in this week-long Cam Model Siege? How about a throwback to the past? 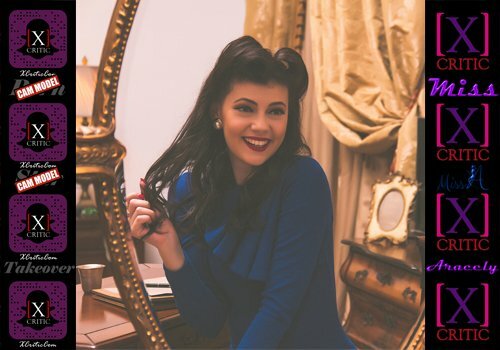 The final model in this gorgeous trifecta is a woman by the name of Miss Aracely @MissAracely90 This Romanian beauty is a cam model whose love and passion is the realm of pin-up modeling and creation. On Saturday, November 17th be sure that you join us on snapchat at: XCriticCom and make sure you got your popcorn ready because this little lady's specialty is entertainment.